In this post we would like explain the complete procedure of How to sign in for amazon. If you are a new user click on How to create amazon account? or How to sign up in amazon? to create a new account in amazon. If you are a old user follow the below steps to know How to sign in to amazon.in? After visiting the amazon.in official website you are entered into amazon home page in the home page click on Your amazon.in at menu section or Hello. Sign in as shown in figure. 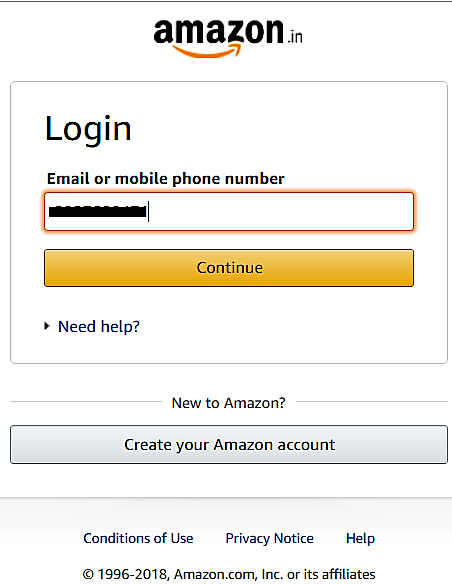 Now, your seeing the below interface in that enter your amazon registered mobile number or Email then click on Continue. Now you will be redirected to the following page then enter your password which you already created in the box. 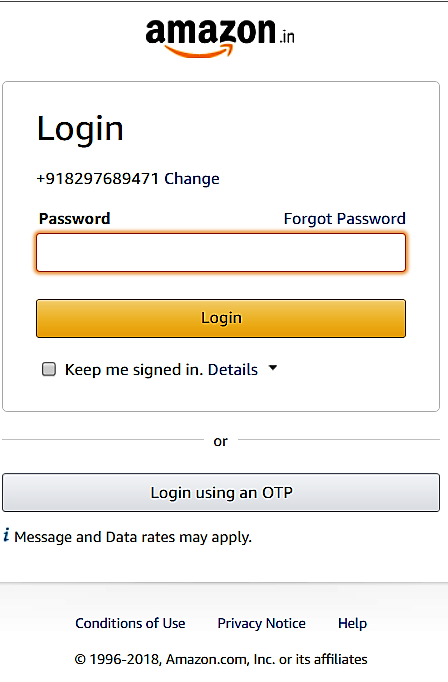 if you forgotten your password then click on forgot password to reset your amazon password. Info about keep me signed in box : If you want to reduces the number of times your asked to sign in on this device. To keep your account secure use this option only on your personal devices. 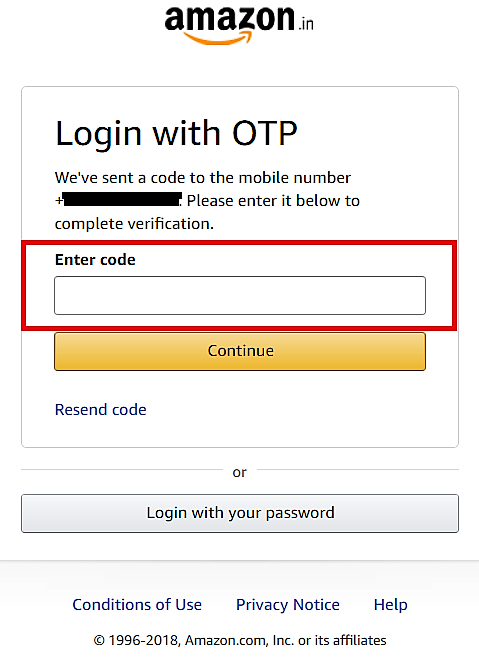 If you can't able to reset your password then click on Login using an OTP. Then you will be seen the following interface. 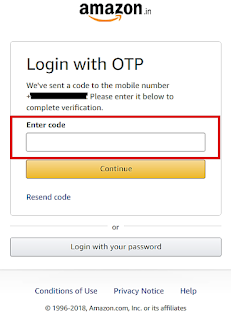 Enter the OTP that you will get as message to your registered mobile number. Now you successfully sign in to your amazon account. now you are eligible to buy any products from the amazon online shopping store. How to sign in to amazon account? How to sign in for amazon? How do you signin for amazon?